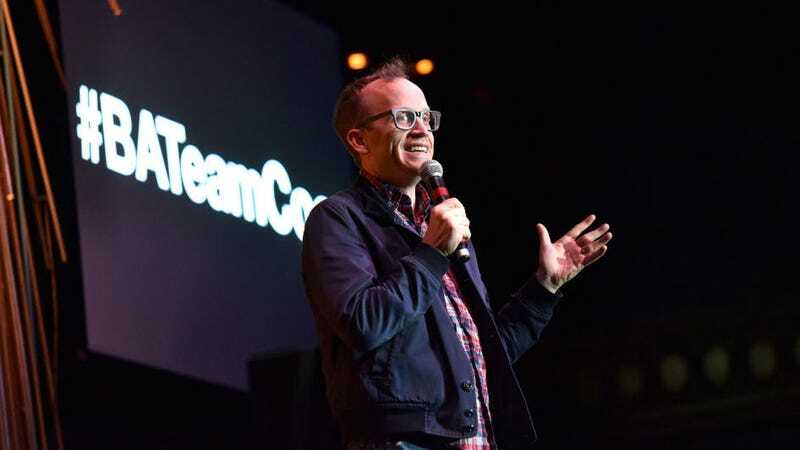 Comedian Chris Gethard’s never been afraid to delve into his personal struggles. His 2017 HBO special, Career Suicide, humorously and candidly dug into his lifelong battle with depression and anxiety, giving fans a glimpse into a corner of the comedian’s life not often seen by the public. Now, in a new essay on Medium, Gethard is revealing another side of himself. Specifically, one that’s really into jiu-jitsu. “He’s stronger than me. He’s faster than me. He’s younger than me. He’s better than me,” Gethard thinks to himself as he’s facing down Jorge, a 36-year-old ex-Marine and Gethard’s opponent at a recent amateur jiu-jitsu tournament. The grapple-focused brand of martial arts has been a quiet passion of his for years, not because he’s the most skilled or in the best shape, but because the sport pushes Gethard to an extreme he doesn’t get to experience in comedy clubs. He may be outmatched in physical strength and skill, he writes, but it’s resilience he’s focused on. “I will not tap,” he asserts. To know myself. Not to know myself through the context of my relationships with others. Not to know myself through the accomplishments of my career. Not to gauge my worth based on the number of likes a post gets. Not to know myself in any way from the outside. To truly know myself when the blood flow to my brain is being restricted. To know myself when another person is trying to rip my foot off. To know myself when trapped in a position where a referee whose name I don’t even know might be responsible for saving me should I choose not to tap. And in that sense, honestly, to know myself in death. And as such, in life.